I’m finally getting my last post of this series up. Make sure you take a look at how I teach my visual spatial learner math and history. My visual spatial learner is now 11, which completely scares me, we’re getting close to high school. We have stumbled upon puberty and with it comes the attitude particularly towards doing any type of school work. 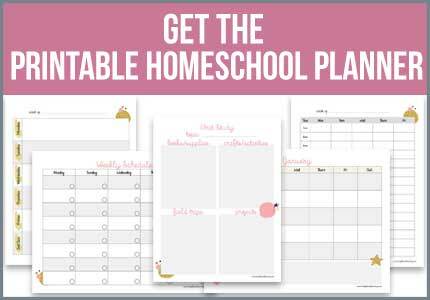 What can you do to keep your homeschooled child motivated? Each child is going to be different but with my son it’s video games. What a surprise. I use a reward system for each subject he completes on time. He must finish it within the allotted time or it doesn’t count. I use a timer for each subject, give them an incentive to finish on time (candy, screen time) but don’t punish them if they don’t. My son earns 5 minutes of screen time for each subject that he finishes. He can use it towards video games or computer time. Right now he’s into a strategy game – Civilizations IV. Î know a family that uses a sticker system, when each child finishes a day of school they get a sticker. Once they receive 5 stickers they get a reward, it may be a happy meal, book or choice of an outing. Find your child’s passion, what do they love and use it to get them motivated. It could be stickers, candy, books, time with a favourite toy. Find what works for your family. You have to ensure that whatever methods you use you are consistent. Make your child accountable for their work. Set up consequences for not following through on their school work. If no school work is done then there’s no screen time. We don’t have cable in our home but we do have Netflix, their video games, and our computer. This means he usually earns about 20-30 minutes of game screen time per day depending on how many subjects he needs to work on. That’s pretty much all they have all week except for a movie on Fridays. We’re more relaxed on the weekends so they get more then if we’re home. Shouldn’t your child just be able to get their work done without rewards? Well they could, but because I have a VSL who is going through puberty, I’ve had to get creative and this is what works for us. You may find something else. I also find that physical activity to start the day works wonders. They are ready to sit down and get to work once they are tired out. How do you keep your child motivated for school? This concludes my 5 day series on how do I teach my visual spatial learner but I’m sure this is not the last time you’ll be reading about VSLs. Check out the rest of the posts in this series and what other mamas are writing for theirs. 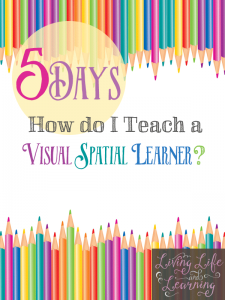 « How do I Teach a Visual Spatial Learner Without Pulling My Hair Out? This is great that you have found methods to best teach and work with your child. Dropping in from UBP 2014. Enjoyed your post about motivating your visual spacial learner. Everyone who lives with and/or teaches children needs a full bag of tricks to meet their various learning styles. 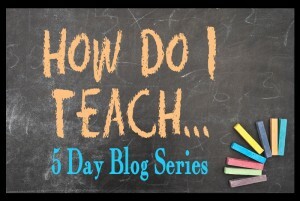 I learned that early on when I raised my own 5 kids and taught kindergarten and first grade. Nice to see a parent educator doing the same thing. BTW. Come and visit my son and I at mindlikechild.com. We love visitors!